Vana Nava, or Water Jungle, is a water adventure that lives up to its name. 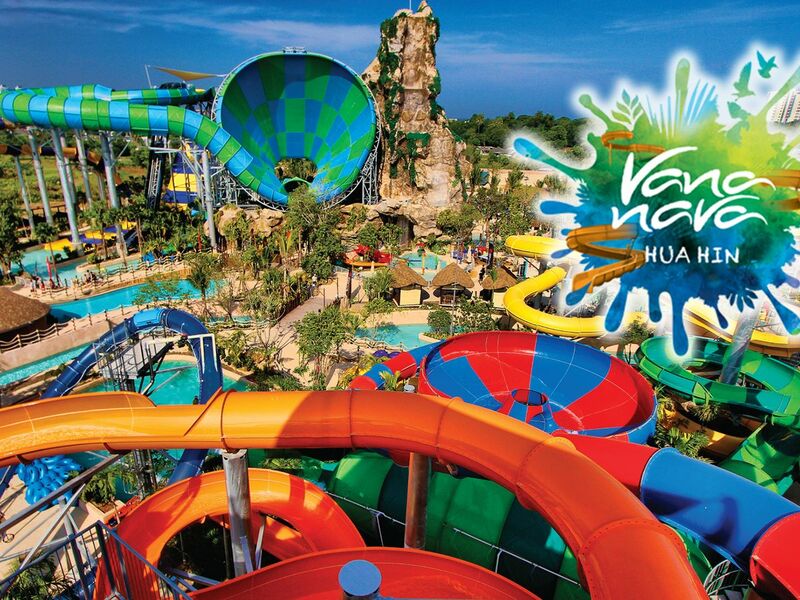 Set in the lush green surroundings in Hua Hin beach resort area, Vana Nava is where you can make a splash with Thailand's longest slide, largest slide and many more rides. - Please bring your passport and email voucher with QR code to Box Office to redeem.